National Frozen Foods Corporation (NFFC) is voluntarily recalling a limited quantity of Not-Ready-To Eat Individually Quick Frozen (IQF) green beans and IQF mixed vegetables because they have the potential to be contaminated with Listeria monocytogenes, an organism which can cause serious and sometimes fatal infections in young children, frail or elderly people, and others with weakened immune systems. National Frozen Foods Corporation (NFFC) is voluntarily recalling a limited quantity of Not-Ready-To Eat Individually Quick Frozen (IQF) green beans and IQF mixed vegetables because they have the potential to be contaminated with Listeria monocytogenes, an organism which can cause serious and sometimes fatal infections in young children, frail or elderly people, and others with weakened immune systems. Although healthy individuals may suffer only short-term symptoms such as high fever, severe headache, stiffness, nausea, abdominal pain and diarrhea, listeria infection can cause miscarriages and stillbirths among pregnant women. This press release includes recalled products distributed to foodservice accounts in bulk and packaged containers in AK, AR, AZ, CA, CO, FL, ID, IL, KS, MI, MS, MT, ND, NE, NM, NV, OR, TN, TX, VA, and WA. The products being recalled listed below were distributed between August 18, 2017 and January 12, 2018. * The 32 oz. inner clear poly bag has only lot code printed. The recall was initiated based on a 3rd party test result of the IQF Green Beans only by a downstream customer that revealed that the finished products may potentially be contaminated with the bacteria. There has been no report of human illness to date. 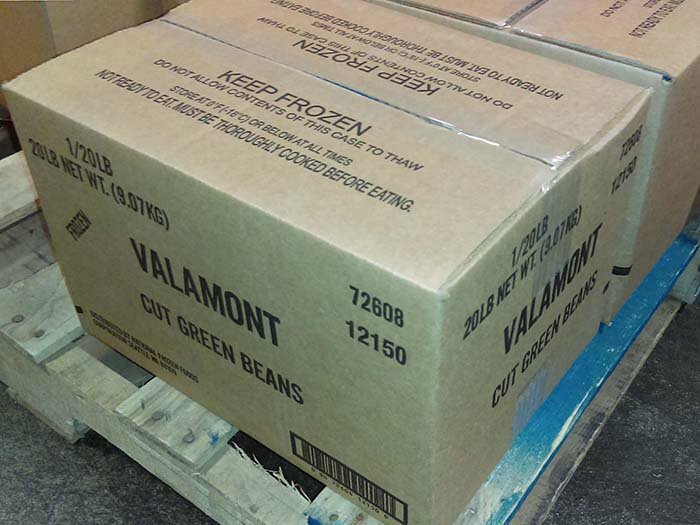 The frozen green beans and frozen mixed vegetables are being recalled as a precaution with the health and safety of consumers as top priority and in full cooperation with the FDA. The recall has not yet been classified by the FDA. Consumers should not consume these products. Consumers who purchased affected products may return them to the place of purchase for a full refund. Consumers with questions may contact the company at 1-800-253-8269, Monday – Friday 7:30 a.m. to 4 p.m. (Pacific Time). Materials provided by the United States Food & Drug Administration. Note: Content may be edited for style and length.